At the famed Smith & Wollensky's steakhouse in New York, the creamed spinach is to die for. The steak almost becomes an after thought. Almost. This is one of the few instances where I make a side dish for the precise reason that the kids will not eat any of it, which makes more for Jeeps and I. It's great not only as a side dish, but as an interesting appetizer. Make a big dish of it and serve with slices of bread, toasted or plain. Creamed spinach on toast is a treat. Combine milk, peppercorns, bay leaves and cloves in small saucepan. Warm over medium heat until hot but not boiling. Remove from heat, cover, and let sit for 20 minutes. Strain into small bowl or measuring cup, set aside. Discard solids. Melt 1 tbsp butter in a saucepan over medium heat. Whisk in flour; cook for 1 minute, whisking constantly. Gradually whisk in milk mixture. Whisk another 3 minutes until sauce thickens. Stir in salt, white pepper, nutmeg, and half-and-half. Set aside, covered. Heat remaining butter and a splash of olive oil in a large skillet over medium heat. 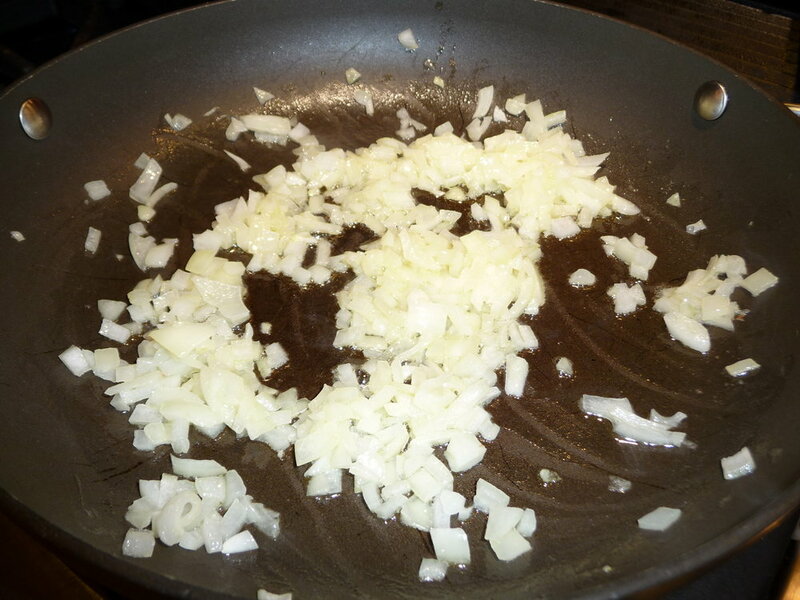 Add onion, saute until tender, about 5 minutes. 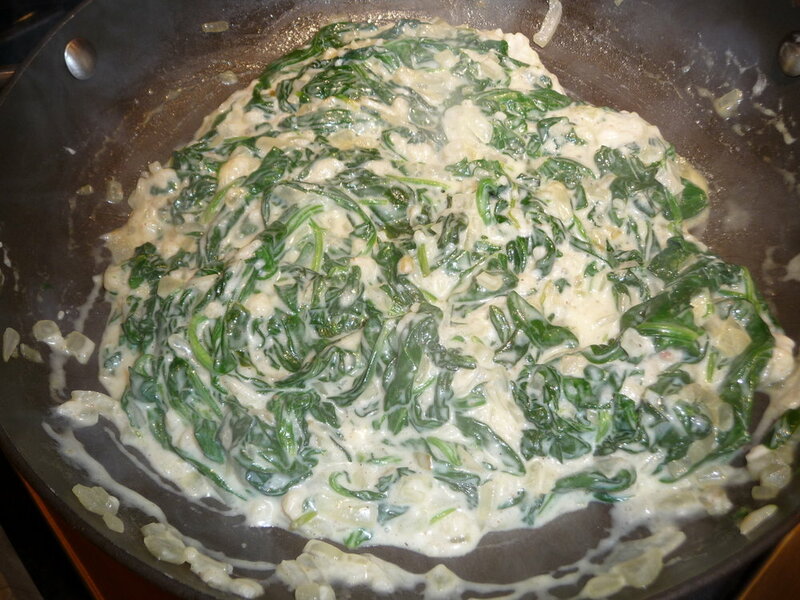 Add 1/2 bag of spinach; cover skillet momentarily until leaves wilt. Add the other half bag. Turn with tongs until all leaves are wilted. Pour sauce over spinach, stir to combine. Those kids don't know what they're missing. And I'm glad to keep it that way.